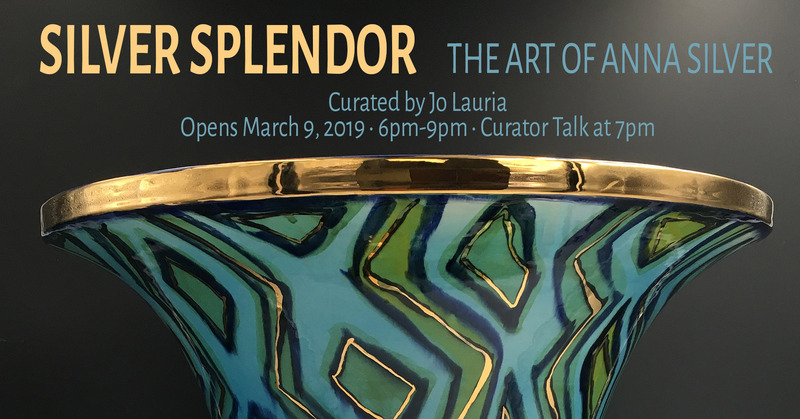 Jo Lauria, curator / writer / educator Silver Splendor: The Art of Anna Silver examines over forty-five years of studio work and tracks the creative evolution of Silver from her origins to her current role as a beacon of painterly aesthetics in the field of modern and contemporary art. This exhibition will bring together over seventy works, including recent works in glass, and rarely seen monoprint drawings. Celebrated for her vibrant and multi-layered abstract paintings on clay, Silver continues the Abstract Expressionist tradition of non-objective mark making, spontaneity, and emotive use of color. Silver’s process, however, is more intuition than improvisation. She applies her glazes with measured physicality, skillfully coaxing bold, gestural drawings to float against backdrops of luminous pigment. Silver’s work is included in significant museum collections in the United States, Europe, and Asia, and she has been represented by the Garth Clark Gallery (LA, NYC, and Kansas City) and the Frank Lloyd Gallery (LA). 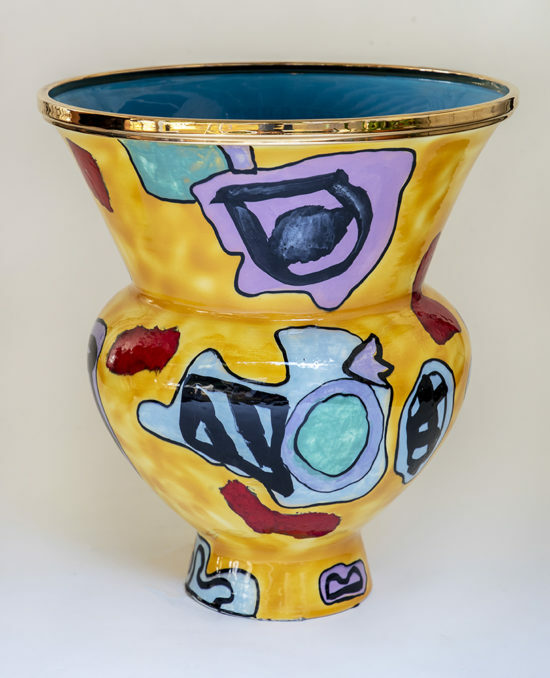 Image: Untitled Yellow Vase, glazed earthenware with luster, 23 h x 17.25 in.diameter, Collection of David Kalin.